Your car relies on several components, to generate and transfer power through its system to actually move the vehicle, this combination of components is called a powertrain. A powertrain includes the engine, transmission and transaxle. This is the system in your car that allows power to be delivered to a surface like a road. Preventative maintenance is extremely important, because without the proper care of these systems, you may have to purchase a new vehicle sooner than later. 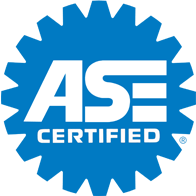 Your maintenance visit should include a transmission check when required. Please come in and see our service team at PACC Automotive .